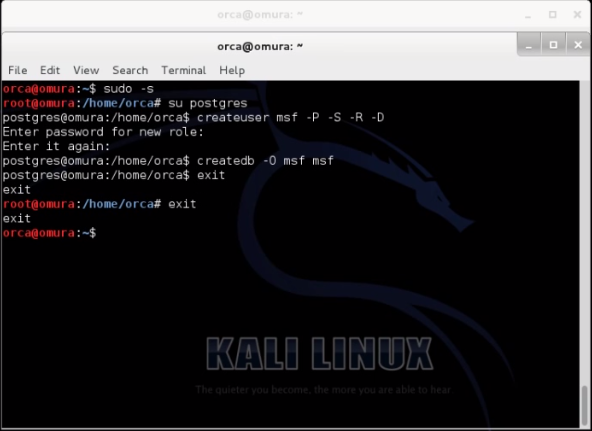 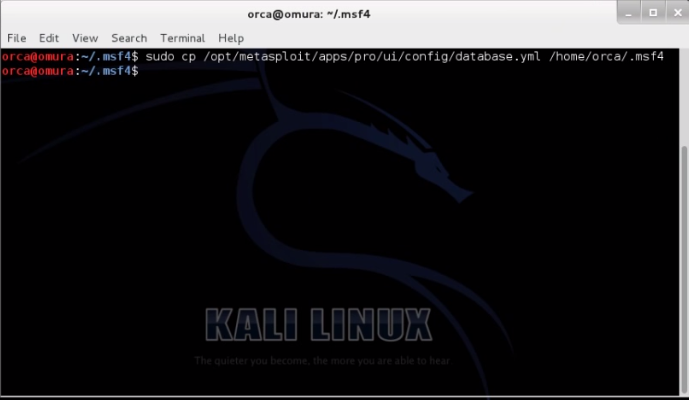 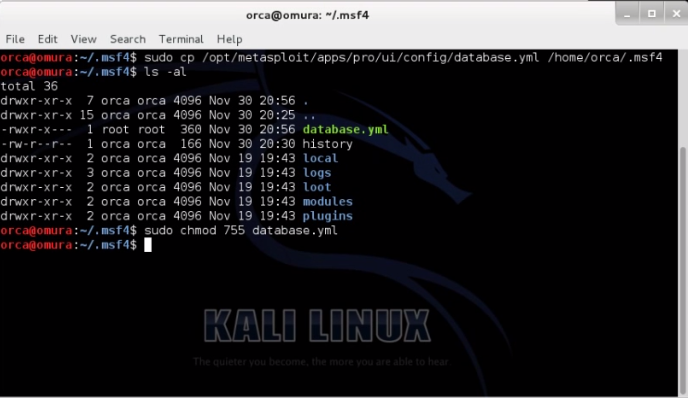 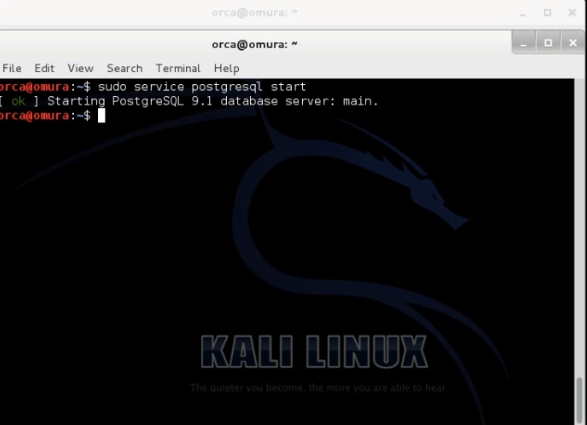 In this tutorial, I'm going to share on how to create a new Postgresql database and new user to work with Metasploit Framework .This tutorial might be useful to those who have problems connecting to pre install Metasploit Framework either when you are running on Backtrack or Kali Linux. 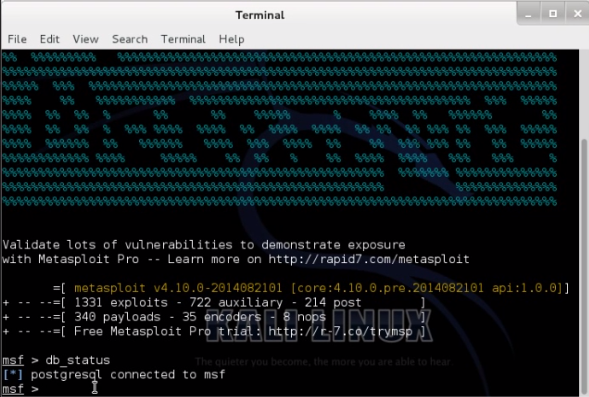 5)Run the metasploit framework and check the connected database. NOTE :If you already have database.yml file in /home/.msf4 folder , you can skip this step. 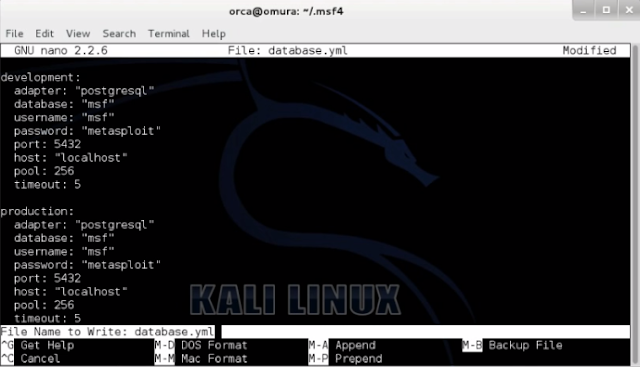 3.3)Edit "database.yml" file with the information that you use to create user and database. 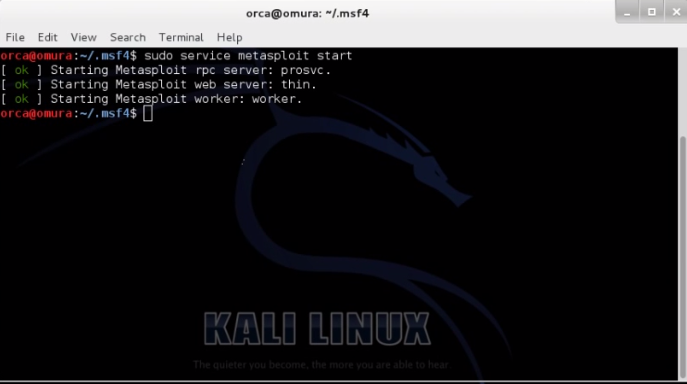 5.1) Click "Applications>Kali Linux >Top 10 tools> Metasploit Framework "